In our body, we can find the greatest concentrations of hyaluronic acid (HA) in our skin, where it helps us to retain moisture, collagen and promote elasticity. But as we age, many factors such as the sun reduce the amount of HA that is in our body. 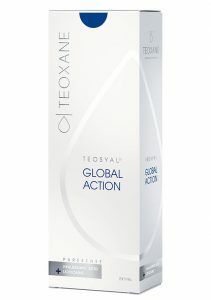 Teosyal® is made with a high concentration of cross-linked (HA), the natural secret ingredient to keeping skin hydrated and youthful. When Teosyal® is injected into the problem areas of your face, it works to replenish the HA that your skin has lost, bringing back structure and volume, and eliminating facial wrinkles and folds. 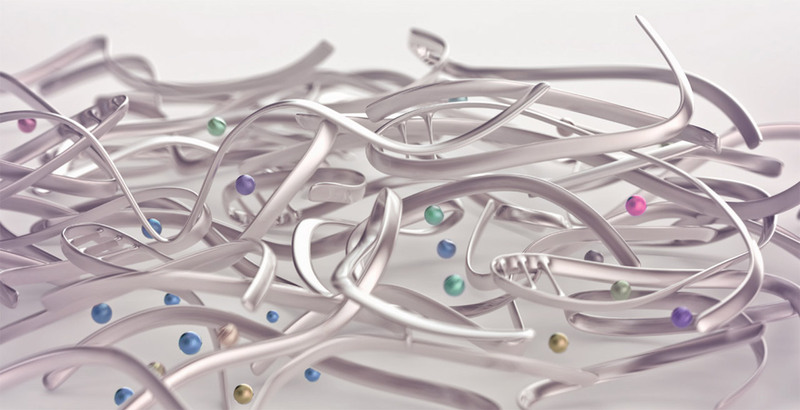 Midtown Med Spa offers the full line of Teosyal RHA® dynamic dermal filler products. 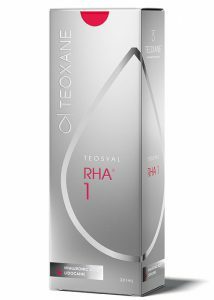 Teosyal RHA 1® is a filler treatment designed for superficial lines and wrinkles found on the face, neck or decollete. Midtown Med Spa clients use it to treat surface lines in the perioral zone, forehead, neck, and around the eyes. Teosyal RHA 2® is a filler treatment for lines and wrinkles of moderate depth, including mild or nasogenian folds, peribuccal and glabella wrinkles. Midtown Med Spa clients find it especially effective for treating wrinkles in the marionette lines, perioral zone, between the eyebrows and around the eyes. For a filler treatment targeting deeper lines and wrinkles, Teosyal RHA 3® is the answer. It is the perfect concentration to treat nasolabial folds and vertical lip lines. Midtown Med Spa clients are usually recommended Teosyal RHA 3 for treating wrinkles around the nasolabial area, between the eyebrows, and around the eyes. 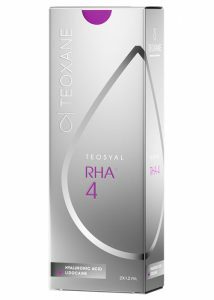 Teosyal RHA 4® is a filler treatment for dynamic extended areas and is specifically designed to give volume to the cheeks and the contours of the face. Midtown Med Spa clients consider Teosyal RHA 4® for treating nasolabial wrinkles, the jawline, and the cheekbone area. A gentle resculpting treatment to augment the cheeks, cheekbones and facial contours, to correct mild ptosis and to fill deep facial wrinkles on thick skin areas. Best paired with RHA 4. Treatment to increase the volume of facial tissue in zones such as the cheekbones, cheeks and chin. Resculpts facial contour. Lips Enhancement. As a treatment to boost lip volume and correct moderate to deep marionette lines, KISS provides higher cohesivity for a safer, longer lasting result. Simplified filling. Treatment for filling linear facial wrinkles and skin breaks, such as slight or moderately marked nasolabial folds, lines around the mouth and lines between the eyebrows. A mix of highly concentrated hyaluronic acid and essential nutrients. The first hyaluronic acid gel specifically designed to tackle under eye circles. Q: Do Teosyal® treatments hurt? A: While Teosyal is delivered via injection, it is a dermal filler that contains a unique cross-linked formula that includes the additional benefit of Lidocaine, a freezing agent that helps to numb the area where the injection occurs. This means that the entire injection experience is made more comfortable for you without any added anesthetics. Q: How long does one Teosyal® treatment take? A: Not including our initial consultation, Teosyal® injection takes as little as 15 minutes, depending on how many areas you are injecting. Q: How will I feel after a Teosyal® treatment? A: Generally, you will experience most of your swelling between the first two days of treatment and a slight bruising where the injection occurred. You are free to return to your regular daily activities immediately after your treatment. It is normal to continue to swell slightly for up to seven to 10 days. Q: How long does one Teosyal® treatment last? A: Teosyal® treatments are typically known to last between nine to 12 months. Q: Is Teosyal® safe to use for all skin colours? A: Yes. Teosyal® is proven to be safe for all skin types.